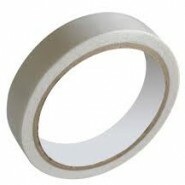 Yesterday morning I asked the salesman at the store for some double-sided tape. He reached behind him, and handed me a package as he pronounced, “5 Shekels,” a little over $1. “Geveret, this is the best kind and the worst kind. It’s the only kind I have!” with a take-it-or-leave-it expression. I handed him a 5 shekel coin, and wondered if that is me. For my kids, I’m also the only kind they have. The best mother. The worst mother. The only mother. When I got back home, I noticed something I adore about our new home. Well, first of all, I love having a yard and a garden. In our old home we didn’t even have a porch. And yesterday morning, the yard was beaded up to the hilt with dew. It was so gorgeous, I just stood and looked at the dew for a while, admiring it’s cloudy mistfulness. And I thought how, like the double-sided tape, and like a mother for her family, dew is the only dew there is. The best kind and the worst kind. Because like a mother, it is a gentle blessing that feeds and nurtures and, without fanfare, enables growth. And that, please G-d, is the kind of mom I hope to be. Amazing how you tie all sorts of things together.